Broadway Princess Party - BROADWAY WORLD: Broadway Star Laura Osnes Brings the Magical BROADWAY PRINCESS PARTY to Cincinnati! You are invited to “come join the party” as The Broadway Princess Party performs at the Liberty Funny Bone on September 16! The Broadway Princess Party is a concert of your favorite “royal tunes” co-hosted by two time Tony nominee Laura Osnes (Rodger’s and Hammerstein’s Cinderella, Bonnie & Clyde) and her “Fairy Godfairy” music director Benjamin Rauhala. 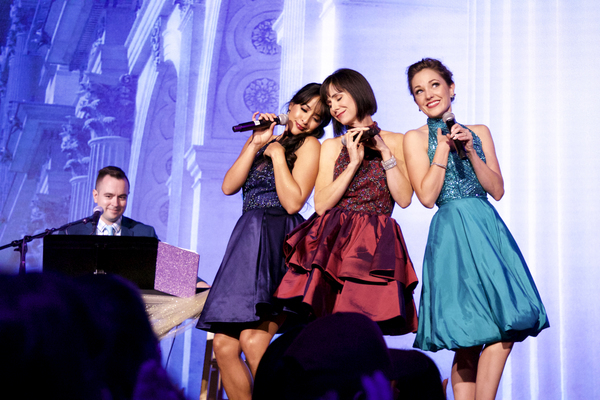 In the cross-country tour, the “princess posse” is completed by Tony nominee Susan Egan (Broadway’s Beauty and The Beast, Hercules), Courtney Reed (Broadway’s Aladdin), and Adam J. Levy! Amidst going from to city to city by “carriage” and sprinkling magic across the country, Osnes took time to talk about the beginnings of BPP, what she’s most excited for about the Cincinnati concert, favorite Disney princesses, and more in the interview below. Anne: The Broadway Princess Party just celebrated its third birthday! So in honor of that, let’s take it back to the beginning. How did the Broadway Princess Party get created? Laura: It all began in 2015, at the birthday party of our fabulous music director, Ben Rauhala. He and I were friends, but little did I know the bonding collaboration we would share in the years to come. Ben pitched an idea of a Princess concert to me, where I would sing and act as co-host with him. I got so excited about the idea and instantly created a document of all our girlfriends’ headshots next to a picture of which princess I wanted them to play. Six months later, we had our first concert and were astonished at how magical it was — Audience reaction was off the charts, and our talented 15-woman cast created this uniquely unified and inspiring environment of support for each other that was so vastly different from what we all experience at Broadway casting offices day after day. We knew we had something special on our hands and 54 Below came back to us immediately with dates to book more shows.